Virtually all fabrics are designed and colored by Barrow’s own in-house design team. We are able to offer our dealers one-of-a-kind products with attention to superior styling and fresh colors all geared toward today’s lifestyle trends. With an on-premises test laboratory at its headquarters and an extensive quality control team monitoring production from yarn delivery all the way through weaving and final finishing, Barrow prides itself on maintaining high standards for offering quality fabrics. 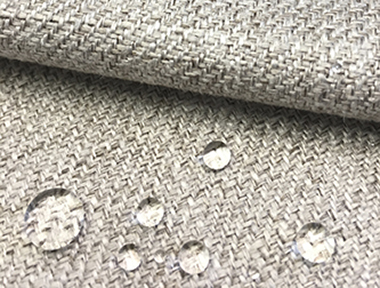 Whether your shopping preference is fabric swatch books, hanging gallery samples or simply viewing products online, with well over 11,000 items in its offering, Barrow has the fabrics you need. In addition, Barrow boasts what is in all likelihood the best in stock fill rate in the industry for cut length orders, doing so over 99% of the time. Barrow’s exclusive line of designer textiles are now offered in a soft and durable stain resistant finish. With extraordinary cleanability, B-relaxed® repels moisture, resists stains, and is soft and comfortable. Life can get messy... We’ve got you covered! As a family owned business since 1945, Barrow Industries has a diverse audience, which includes designers, upholsterers, retail fabric stores, and furniture manufacturers. Our sales and customer service teams are attentive, knowledgeable, and help to make the buying experience a pleasant one. © 2018 Barrow Industries, Inc. All rights Reserved.